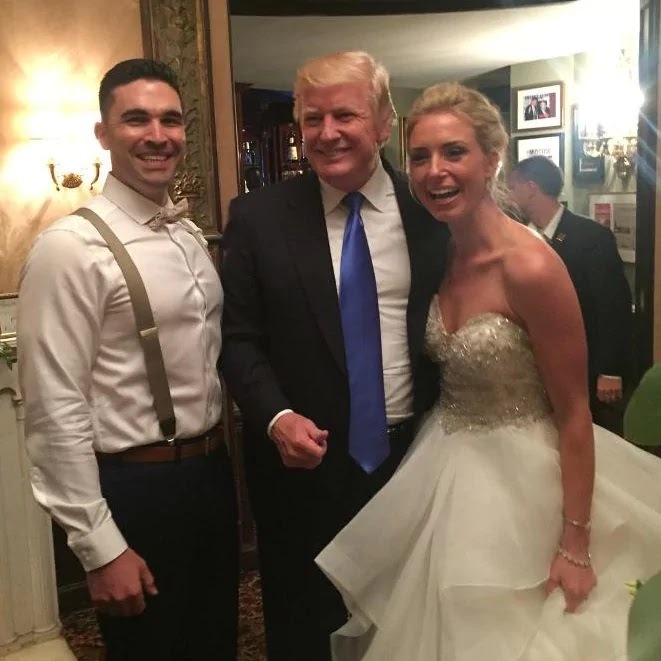 Donald Trump tried to set aside his difficulties with former FBI directors, Russia investigations and questions about audio tapes by spending the weekend at his New Jersey golf club, where he made an appearance at a wedding reception on Saturday night. 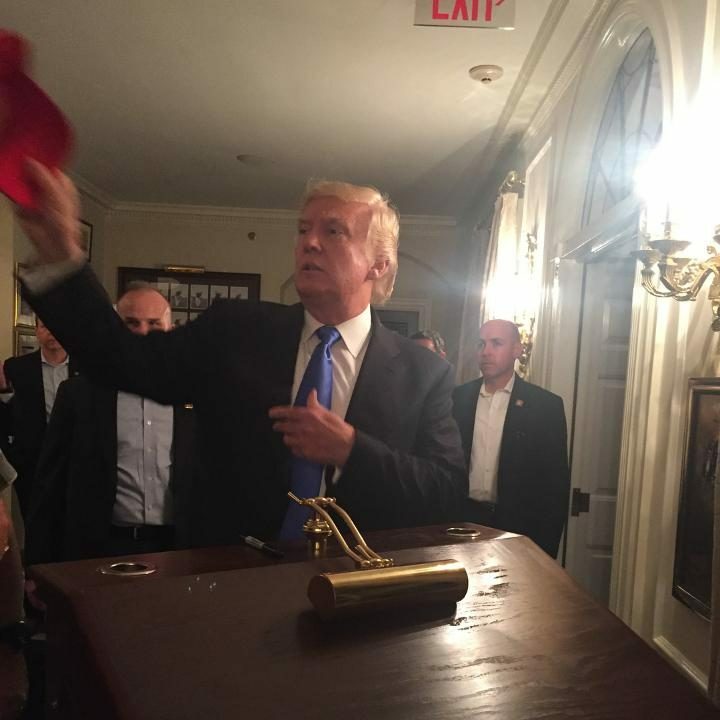 Photographs posted to social media showed Mr Trump with the happy couple and signing Make America Great Again hats. Mr Trump has been spending his summer weekends at Trump National Golf Club in Bedminster while controversy still surrounds his staff and their contacts with Russian officials. A spokesman declined to say whether he spend the weekend playing golf. His wedding crashing activities are well known and used to be advertised in the brochure for his New Jersey club. “If he is on-site for your big day, he will likely stop in and congratulate the happy couple. He may take some photos with you, but we ask you and your guests to be respectful of his time and privacy,” said the marketing blurb. However, critics have accused him of using his position to market his businesses and the club says it has dropped the claim.